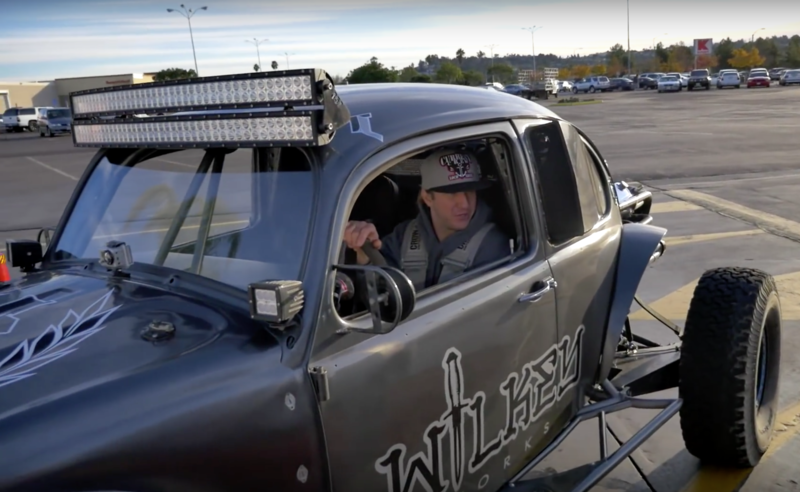 This VW Bug Terrorizing San Diego streets is so insane its almost hard to believe. If you’re wondering, its crazy illegal too. There is a bizarre possibility that they closed a few roads to shoot the video but if they went through all that effort and planning, why was there an old GoPro mounted to the hood in the shot below? So most likely this was illegal. 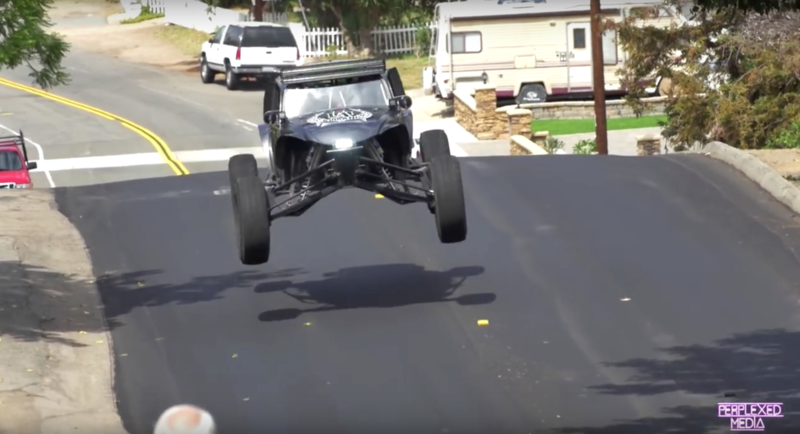 Apparently the guy in the video in Blake Wilkey and he definitely is breaking some laws jumping the car on public streets. 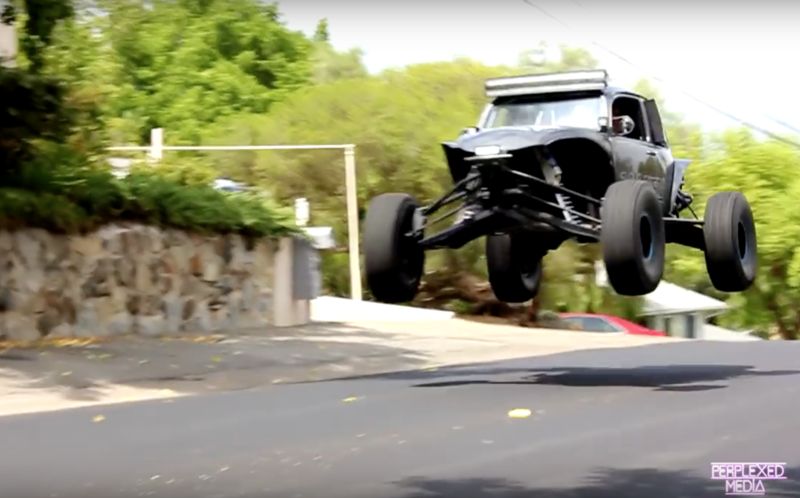 At times it looks like a controlled video stunt but he definitely looses control and spins out while entering the freeway. Odds are that Mr. Wilkey is going to not be able to drive legally for some time. The bigger surprise is why would his sponsors sign up for an illegal video shoot? Most likely he’ll get charged with reckless driving and maybe trespassing. Check the video. Think he’ll loose his license? I was thinking along the same lines. There were definitely shots with traffic nearby so I can’t see all (if any) of this being staged and legally approved. All it takes is one miscalculation or flub and someone innocent gets hurt and then it’s not cool any more. If the guy wants attention I hope he gets it…from the cops. ← Previous Post: KA Motors E30 Turbo Kit!